Amazing Discovery: Plant Blood Enables Your Cells to Capture Sunlight Energy. I had never really thought about the difference between plants and animals being that plants can make their own energy whereas animals need to consume their energy through plants or other animals. Now science is learning that through the ingestion of chlorophyll, animals, including mammals!, can produce their own energy as well. 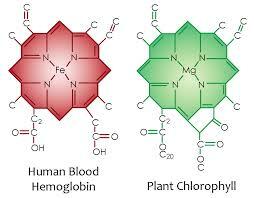 This works because capture the energy of the Sun directly through these little light-harvesting molecules known as chlorophyll; a molecule, incidentally, which bears uncanny resemblance to human blood because it is structurally identical to hemoglobin, other than it has a magnesium atom at its core and not iron as in red blooded animals. I wonder if this relates to the reason that juicing and ingesting raw cannabis leaves is helping with cancer and other ailments, as well as overall general health. You can search on Google for lots of information about this if you are interesting. 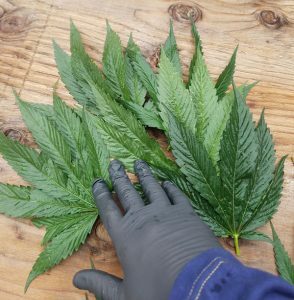 The main problem that I see with this method is access to growers who have them and how to keep them fresh, as they should either be used immediately or flash frozen! On my last trip to Humboldt I had the pleasure of helping to harvest, and the farmers were collecting these beautiful, green, vibrant leaves in big trash bags. This picture brings back such good memories. Except that I wanted so badly to freeze the leaves for juicing and at the time the people I was with were looking at me like I was crazy. 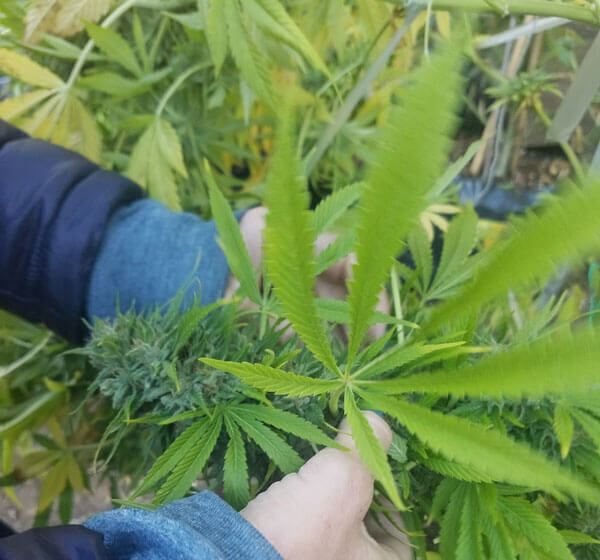 But we’ve come a long way and people are starting to understand.I recently saw a crowdfunding campaign raising money to collect cannabis leaves from farmers and flash freeze them to make them available to patients. ← CBD Can Convert to THC in the Stomach?